Despite its reputation for cold and snow, Minneapolis has gained notoriety for its culture, including fine food and dynamic cuisines. 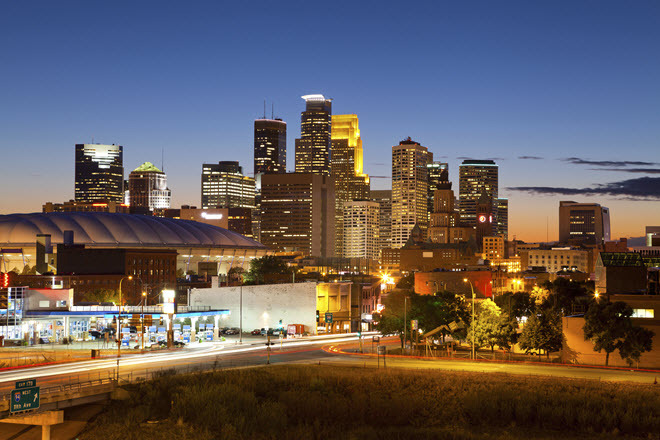 The Twin Cities is one of the major metro hubs in the Midwest, and crammed with activities for all seasons. You’ll find a few of the most popular culinary schools right here in downtown Minneapolis--a very good sign of a robust food scene. Restaurants are plentiful and where there are exciting and noteworthy eateries there must also be a clever chef behind the menu. Cooking school is hot and if you’re in the mood to shake up a kitchen with some innovation of your own then now may be just the time to enroll in cooking school. Thanks to pop culture T.V. sensations like Iron Chef, Essence of Emeril, and Throwdown! with Bobby Flay chefs are in high demand and regardless of economic nosedives good food remains a priority. What types of degrees or programs does the school offer? Do they have scholarships and/or financial aid? Is this program designed to teach professional chefs? Does the school provide career placement and career assistance? Are there any student run restaurants? The mission of most culinary arts programs is to give you all the essential training, techniques and tools you need to nurture your inner Iron Chef, but you must bring the passion and the energy. Remember, most master chefs once started their culinary careers as dishwashers and vegetable choppers. Here is one of the most popular national culinary programs and the alumni are a veritable Who’s Who in the culinary world. This is a program designed by pros for next generation chefs, whether you’re fresh out of high school or ditching your long-time job as insurance agent for a career that makes you want to get out of bed in the morning. Emphasis is on learning the elements of major international cuisines, classic recipes and cooking techniques. You study with professional chef faculty in working student restaurants that serve to the public. Career assistance is available. Degree programs include: Associates in Applied Science Bakery and Pastry or Culinary Arts; Bachelors in Culinary Management or Hospitality Management; and Certificates in Baking and Pastry or The Art of Cooking. Another extremely popular and competitive program is the Le Cordon Bleu Academies. This world-class curriculum comes from the celebrated French Le Cordon Bleu Academy and adheres closely to the traditional French instruction. Emphasis is on technique and mastery of cooking styles. Learn all the elements of classic French cuisine, traditional American and the components of various other international cuisines. Study under the tutelage of professional chefs and guest chefs and apply your skills in challenging internships. Degree programs include: Associate of Applied Science Le Cordon Bleu Culinary Arts, or Associate of Applied Science Le Cordon Bleu Patisserie and Baking. This unique school caters its classes to both professionals and serious home cooks, but don’t dismiss the excellence of this school. Course work is taught by guest and exchange chefs specialized in various Asian cuisines, the type of tutelage you just cannot get anywhere else. If you’re serious about Asian cooking, check out the courses for professionals.